We provide exceptional service and product to our new and loyal customers. We strive to provide a successful, positive and safe work environment for our employees and give back to the communities that contribute to our success. 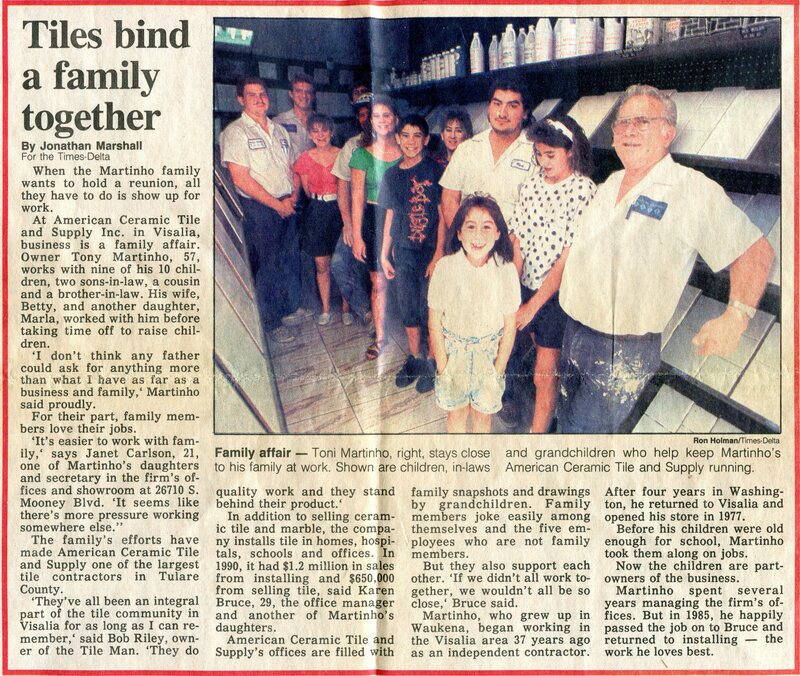 Visalia Ceramic Tile, INC was established in 1985 by Tony Martinho, however its roots began 26 years before. Tony began working in the tile industry in 1959. He obtained his contractor’s license under the name Martinho Ceramic Tile in 1974. His operations began from his milk barn, with all 11 of his children helping in some way as they were kids. Due to a lack of a local tile supply store, Tony open the very first tile store in Tulare & Kings Counties in 1977, American Ceramic Tile & Supply, INC. To date Visalia Ceramic Tile has been recognized throughout California and the United States as a highly skilled and qualified tile contractor and continues to give an unbeatable service that began with Tony Martinho. 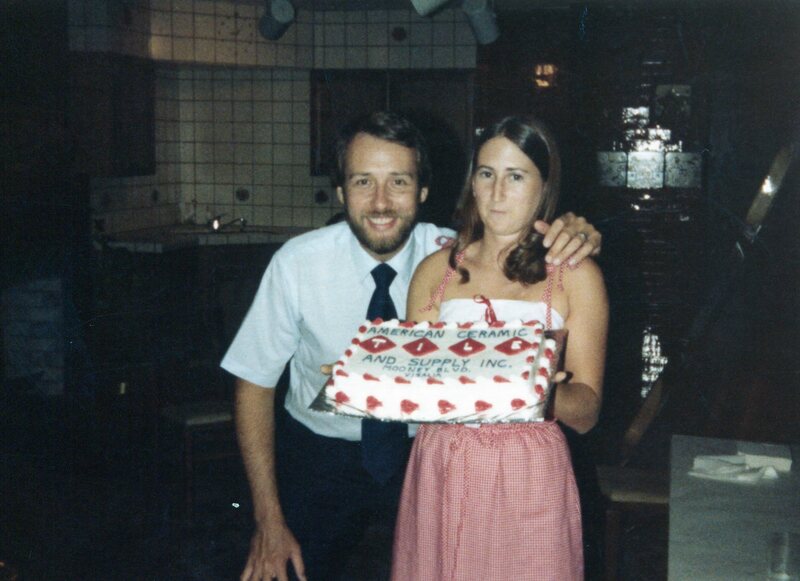 In 1985 Tony began contracting again with 5 employees under Visalia Ceramic Tile. With 11 kids growing up in the tile business he figured he start putting the oldest kids to work. Projects began locally in the Tulare and Kings Counties and now has expanded to Central & Northern California. Today Visalia Ceramic Tile employs over 90 hard working men and women from all areas of California. In 1993 Tony passed from cancer. Visalia Ceramic Tile continued business operations under 2nd generation ownership of Karen Martinho-Acquafresca, Robert Martinho, Michael Martinho and Eddie Martinho. Daughters Marla Perez and Diane Ramirez are also part of the business as well as numerous son in-laws, grandchildren and nephews. In 2005 Visalia Ceramic Tile became strictly a commercial and industrial contractor as Visalia Tile was created to conducts all the residential operations. In 2014 Visalia Ceramic Tile was recognized as one of the leading Tile Contractors in the nation by becoming an NTCA (National Tile Contractors Association) 5 Star Tile Contractor. Only 60 tile contractors in the United States have been recognized with this honor. In this same year many of Visalia Ceramic Tile’s tile setters became Certified Tile Installers a recognition that is given by the CTEF (Ceramic Tile Education Foundation), which consist of a written and hands on test of skills and knowledge. In 2016 Visalia Ceramic Tile became the largest employer of Certified Tile Installers in the United States with 30 Certified Tile Installers. Visalia Ceramic Tile has been noted throughout areas of California for its ability to deliver an exceptional product with the highest level of customer service in every aspect of a project. 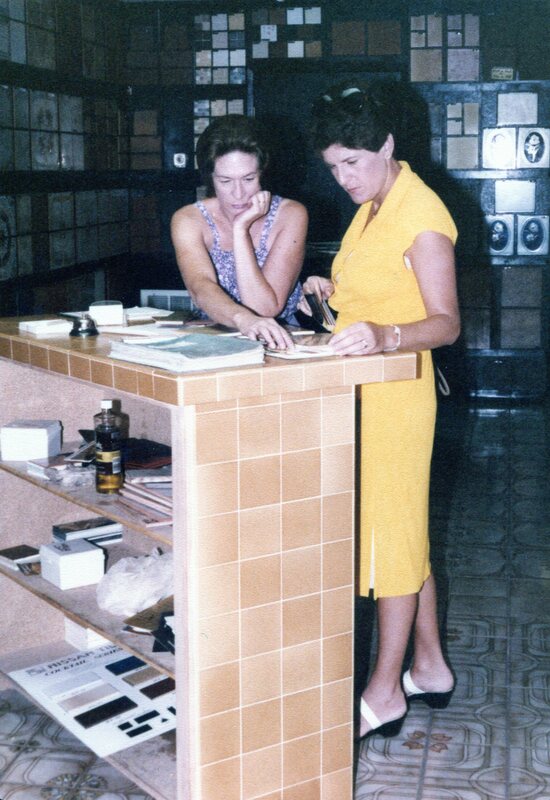 With Quality, Pride, Experience and Service Visalia Ceramic Tile pursues to “Surpass Tile Industry Standards” just as Tony Martinho worked to achieve since 1959.